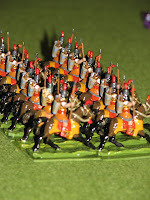 A unit of Assyrian cavalry. 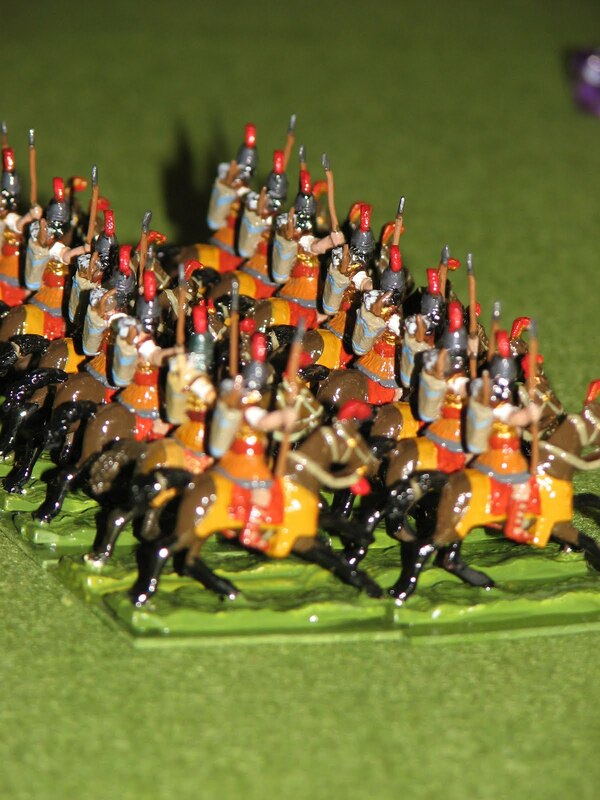 These are Garrison 20mm figures painted by Clive Norman. All the figures that feature on this site are vintage or "old school" figures that were originally designed in the late-1960s or early-1970s. Many are long out of production, others such as these chaps are still available - from Rob at Garrison (though you may have to ask, as they don't appear in his catalogue these days). Just spotted on Vintage Wargaming that you now have your own blog. Yes, quite happy to cast 20mm Garrison Ancients for people, just not really worth putting them in the catalogue.....but not sure how much longer for. Past 60 on 1st May, so will probably stop selling figures in a couple of years or. Must get round to doing a blog of my own sometime.